Through the looking glass: Software at the operating system level could be key to managing many-core CPUs. 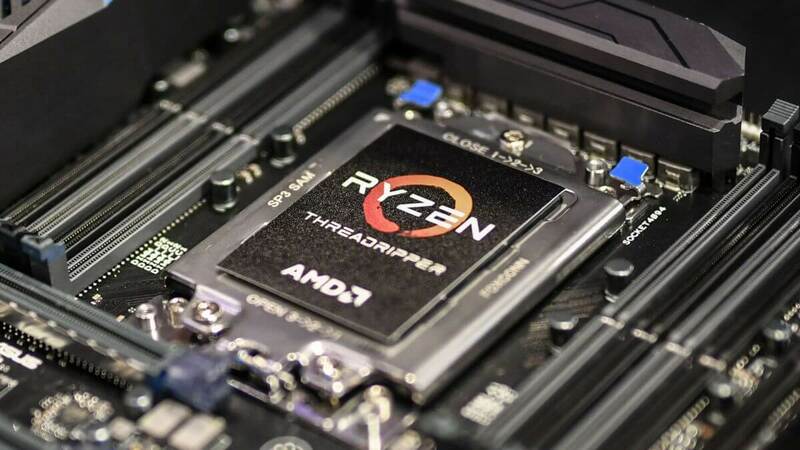 AMD is launching two more Ryzen Threadripper CPUs, but Dynamic Local Mode is a performance-enhancing software feature exclusive to the 2990WX and 2970WX. Just a few short months ago AMD released the almighty second generation Ryzen Threadripper 2990WX and 2950X. As promised, the 2970WX and 2920X will complete the series with an October 29 debut. Arriving with 24 cores and 48 threads, the 2970WX is nearly identical to the 2990WX sharing the same clock frequencies, cache, and TDP. Likewise, the 2920X shares specs similar to the 2950X but holds 12 cores and 24 threads with a boost frequency 100MHz less at 4.3GHz. Although the hardware is relatively similar, software is going to be a differentiator between models. AMD is introducing a piece of software called Dynamic Local Mode that is exclusive to the 2990WX and 2970WX. Essentially, applications that work better with quicker access to DRAM with be relocated to cores with local memory access for execution on the fly. Software that can better take advantage of the many cores will be encouraged to take full advantage of all the resources available. Running as a background service on Windows 10, Dynamic Local Mode determines which threads are the most compute intensive. Priorities are ranked and threads deemed most demanding are shifted to cores with direct access to memory. Although not every piece of software will be faster, AMD is showing some significant gains in certain games and select benchmarks. Battlefield 1 running with DirectX 12 with Ultra preset on a 2990WX shows a 47 percent increase in performance. FarCry 5, PUBG, and Alien Isolation also show double digit improvements thanks to Dynamic Local Mode being enabled. Until benchmarks are out, it is hard to accurately gauge how the two newest processors will compete knowing that software is going to make a difference. At some point in the future, AMD plans to implement the feature into chipset drivers to make it standard for all users with supported hardware, but that is more of a long term goal. Both the new Ryzen Threadripper 2970WX and 2920WX CPUs will become available on October 29. AMD Ryzen Master will automatically configure Dynamic Local Mode with an update that will also be pushed out on October 29 for systems containing a 2990WX or 2970WX processor.